When I weighted the advantages and disadvantages of adding another credit card, I decided that the chief disadvantage for us is that we might lose track of how to optimally use the cards for maximum rewards. After all, we use Mint to aggregate all our accounts so we don’t ever lose track of which card needs to be paid off and whatnot. I decided to comb through our current credit cards to make sure we are aware of the current rewards offered (because they do change over time, and in the case of our 5% rewards cards they’re different every quarter). We have a base card, which means that all our purchases default to this card unless we know that the rewards are better on another card. Our base card has 1% rewards on everything and also has rotating 5% rewards categories. This way, we don’t need to remember every random retailer that has the high rewards in a given quarter, just when the 5% rewards override one of our normal exceptions to using the base card. When those categories do come up, though, they trump the other cards as none of them give 5%. Our base card is our Chase Freedom card – all eligible purchases go on this card and in the relevant quarters it trumps our other cards. The current 5% rewards are for airlines, hotels, Kohls, and Best Buy. The rewards available next year that will affect us for sure are gas stations (twice! ), restaurants, some department stores, and Amazon (affiliate link – thanks for using!) – the rest of them are pretty rare spending categories for us. We buy BP gas very often (there are many such stations in Durham), and when we do we use our BP card. This used to be our base card, but they downgraded our rewards. Lately we have been buying gas more often at Costco and Kroger, though, so we may have to reconsider this car. The rewards rate on BP gas is somewhere between 2 and 3%. We got an Amazon card over the summer to get a free Kindle, but now we use it for all our Amazon purchases (3%) (lots over the holidays! ), non-BP gas stations (2%), and restaurants (2%). All our other cards are really for specialized occasions that come up very rarely. We have my first credit card, which is still open but used only occasionally to keep it active. We have a Macy’s (affiliate link – thanks for using!) card that we got when we registered for our wedding there (so that we could cash out returns if applicable instead of getting store credit – never did it!) and we only use that card when pairing it with a coupon/promotion gives us a deep discount. Finally, we got another card last summer that waives foreign transaction fees, so we will only use that abroad. Finally, we use our Ally debit card for our purchases at Costco, ALDI, and the occasional other retailer that doesn’t accept credit cards. Actually, this whole system is simpler than I had expected. Because at least half the Chase Freedom 5% rewards categories per quarter are irrelevant to us, it’s not too hard to remember just the ones that will change our choice of card, like gas. I definitely wouldn’t be opposed to adding another card or two – an Amex one to use at Costco or one that offers a sweet signup bonus. Do you play the rewards game? If so, how difficult is your decision each time you roll up to a cash register or click on a shopping cart? Do you prefer high sign-up bonuses or long-term utility? Do you have cards you don’t use more than a couple times per year? 21 Responses to "Current Credit Cards Rewards Strategy"
I do rewards mostly for the sign up bonuses. However, I only use one card at a time to streamline the process. I basically put all of our spending on one card until we hit the spending requirement. Then I move on to another card. This generally means that I use one card for about 3 months before moving onto another. Holly@ClubThrifty recently posted..How Much Money Is Enough? Do you keep a base card for in-between times – or has that not come up yet? And do you still have your and your husband’s first credit cards open? We’ve been playing the rewards game lately and it started with the $400 from the Chase Sapphire card and now I purchase a lot of things with the Freedom card. I’ll be looking to add another card that has higher base rewards in the near future though. That amazon one sounds pretty good as I give away a lot of Amazon gc’s through giveaways on the blog! We don’t spend a whole lot on Amazon thoughout the year but it really adds up in the holiday season as we buy every gift possible through Amazon. It seems like a pretty decent card and why not get some cash back on those giveaways? We’re not big into the rewards game, but have been thinking about it. Our base card is the Freedom as well and my wife just got an Amex that has really nice travel rewards. The Amazon one is tempting, I need to look at it some more. We took it slowly at the beginning too – I think we’ve gotten exponentially faster at adding cards! We had one rewards card for 3 years before getting the second, the third was 1-2 years after that, and now we’re down to < 1 year between! I’m up over $1000 this year in rewards! So yes, I play the game! You should look into getting a card that pays 2% for base, everyday purchases. I use the Fidelity Rewards American Express. If you can double your base, you get double the money! Hm, thanks for the tip. Doubling that base would be very nice, as well as having an Amex generally. I’m still working on getting out of credit card debt from a recent problem that we had. But once we’re out I’m not adverse to using this system. If you pay everything off at the end of the month credit cards can save you a little extra cash. 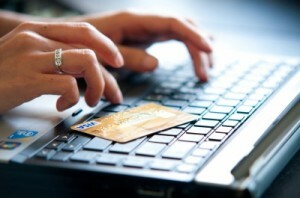 Justin@TheFrugalPath recently posted..Credit Cards: Should I Blame Them for my Debt? I do believe you should have a track record of perfect use (including being completely out of cc debt) before attempting any rewards games! Good decision. I use that as my base card and other cards like the PenFed Platinum rewards visa 5% gas and 3% groceries for other situations, but it is hard to beat 2% everywhere.